We're only just getting used to the idea of Sean and Charlize as a couple, but rumour has it these two love birds are already talking about getting married. The couple - who made their first public appearance together three weeks ago - have only been dating a few months, but now the 'Milk' star has moved in with his girlfriend and her adopted son Jackson, two, they are talking about taking their relationship further. A source told RadarOnline.com: "Sean is head over heels in love with Charlize, and her son Jackson. "He is a totally different person around Charlize, she brings out the gentle and fun side that not many people have seen of Sean. To see this previously surly grown man, romping around Charlize's backyard with Jackson, with a smile on his face would amaze Sean's detractors. Charlize is getting Sean to not take himself to seriously. "The two began talking about marriage in the last few weeks, after Sean moved into Charlize's house. She has never wanted to get married, but seeing how Sean interacts with Jackson, she is having a change of heart. "For the longest time, Charlize thought it was just going to be her and Jackson, and she was OK with that. 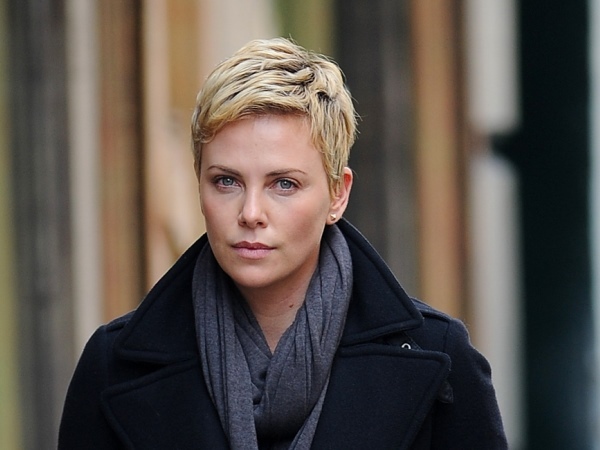 For her to now be talking about getting married is a huge departure for Charlize." While it may seem like their relationship is moving quickly, friends of 53-year-old Sean - who divorced second wife Robin Wright in 2010 after 14 years of marriage - and Charlize (38) say it is to be expected. The insider said: "They've known each other for over a decade, and have always been friends, so it shouldn't be a surprise to anyone that things are getting serious so fast." And the actor - who has children Dylan (23) and Hopper (20) with Robin - is even talking about adopting Charlize's son if they marry. The source said: "Sean is in a very good place right now. He has been single for awhile after his divorce with Robin Wright. People didn't realise how hard he took that divorce. "He felt like a really big failure, he never wanted to be divorced. Charlize is truly the light in his life. He is even talking about adopting Jackson if they get married!"